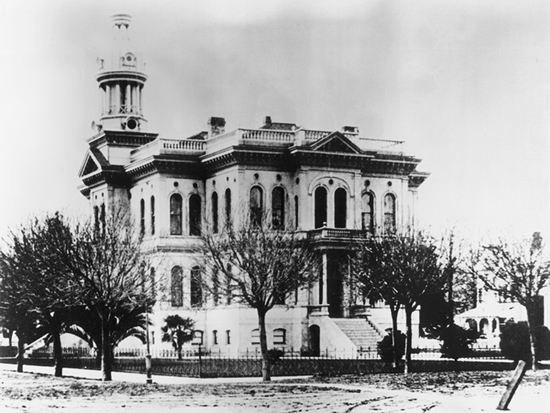 San Benito's third courthouse was a lavishly decorated building with an exterior modeled on the Farnese Palace in Rome and elaborate balustrades of polished red cedar within. The Hollister landmark withstood many earthquakes but was structurally damaged in a 1961 quake. The courts were moved into a quickly remodeled library while a new courthouse was constructed. The old courthouse was razed the following year.